Despite living near to some of the best mountain walking in Britain just an hour or so away in Snowdonia, Chris and I have had a couple of trips back to Cumbria over the summer months to revisit the Lake District. Despite the memories of 2015 being mainly of wind and rain (nothing new there then!) we managed to get a few good days out – here’s one from a few weeks back. 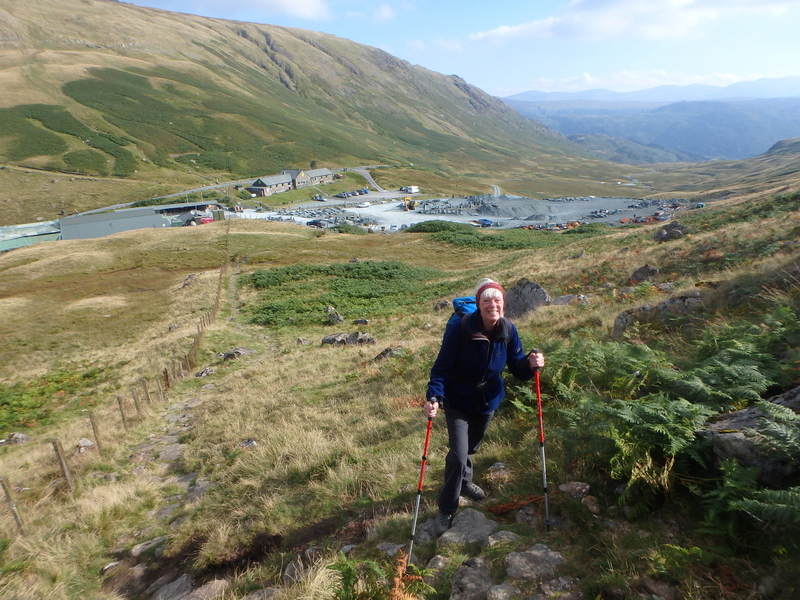 Setting out from Honister …. …. with a steep start …. …. 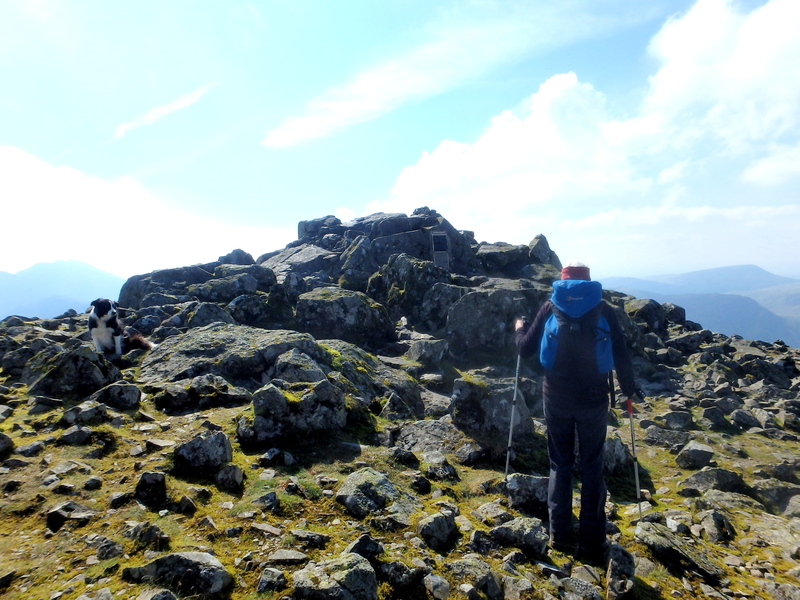 and rocky in places …. 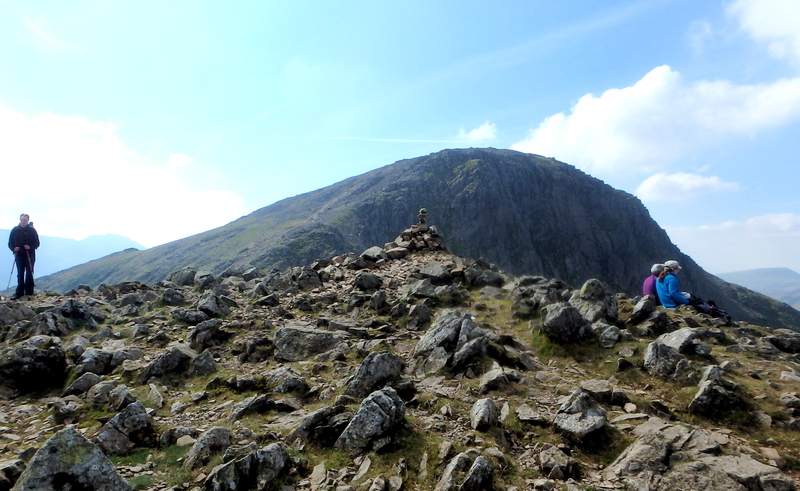 This trip was to Great Gable from Honister. Our route was a bit of a cheat in a way, because the start point is at about 360 metres altitude. 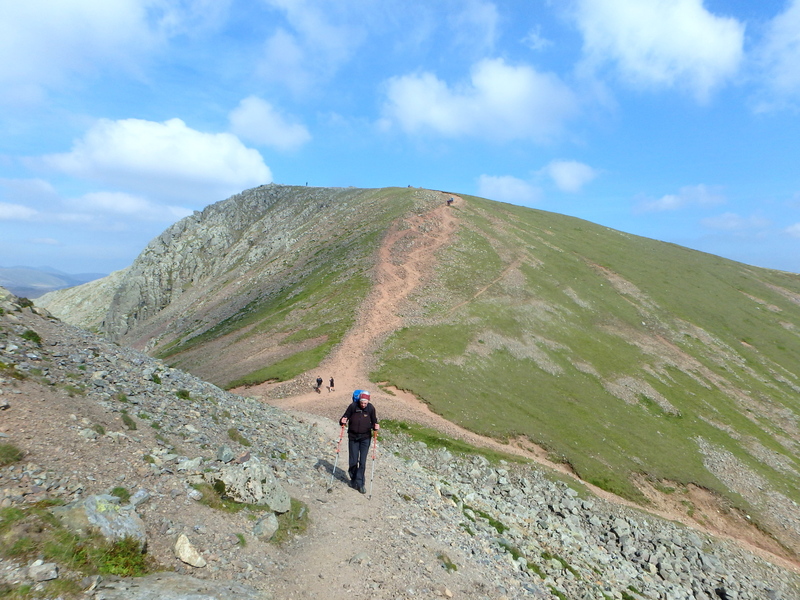 The last time I had been on Great Gable I had been leading a walking group for a holiday company, and we had started down in the valley in Seatoller, about 230 metres lower – there’s a lot to be said for this cheating lark! 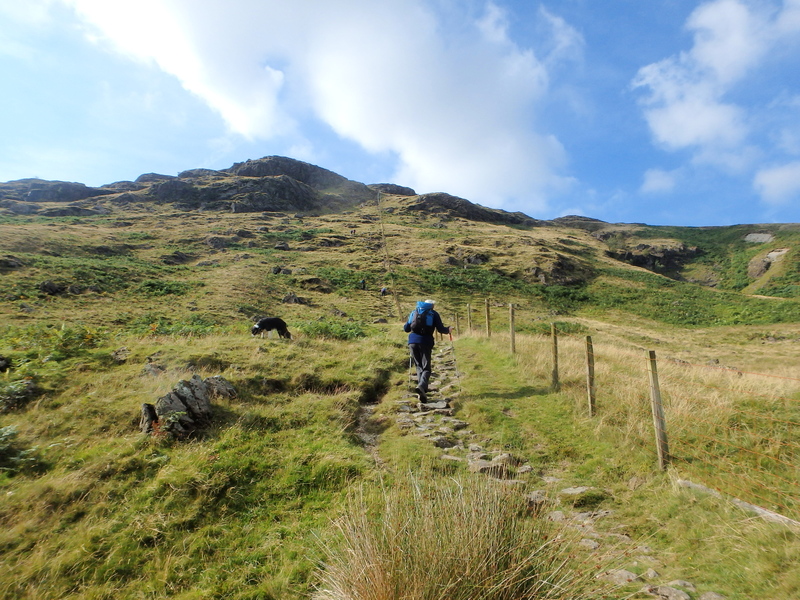 The Honister option gets straight to work though, with a steep rocky start. 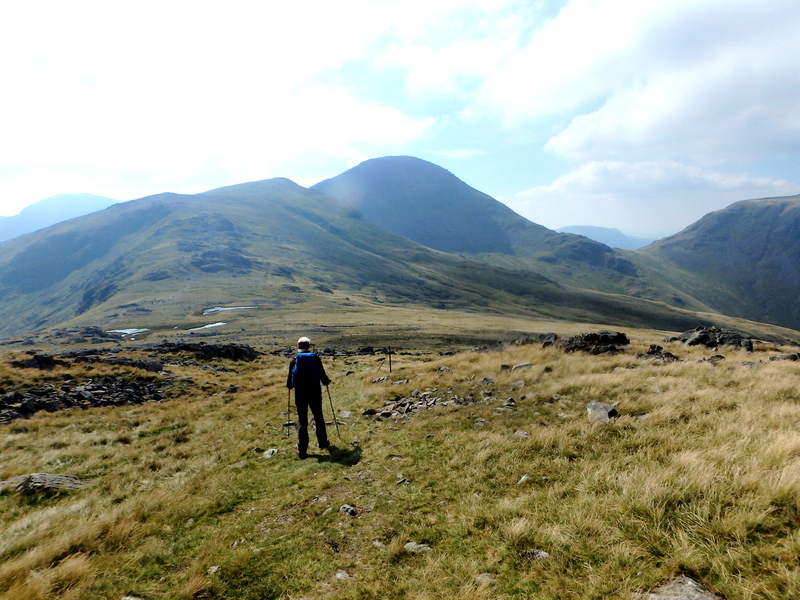 Looking back towards Grey Knotts …. 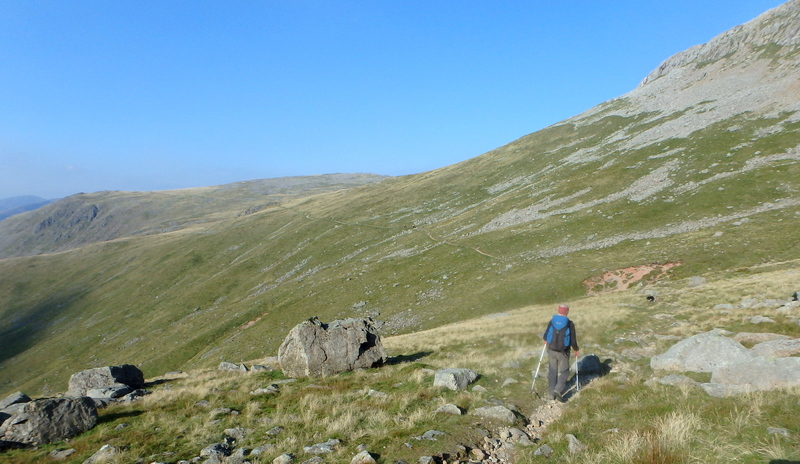 The steep bit levels out on Grey Knotts, after 340 metres of height gain in not much more than 1 km of walking. 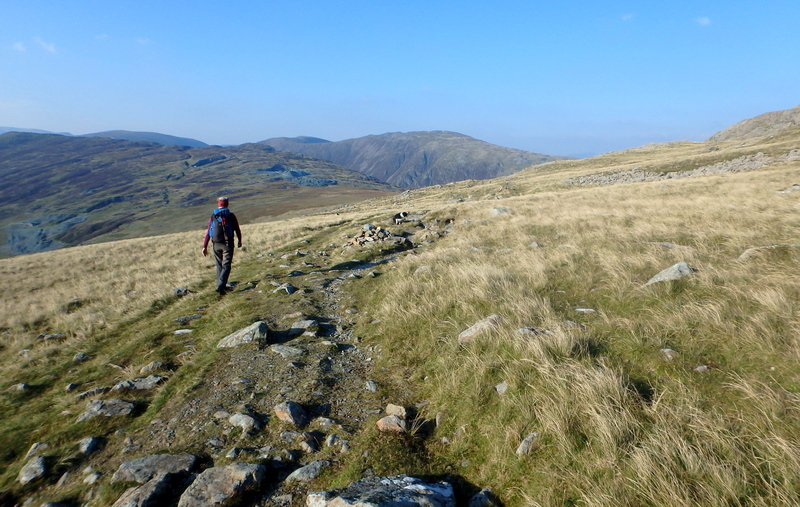 From there things settle down a bit with an undulating wander over Brandreth and Green Gable. 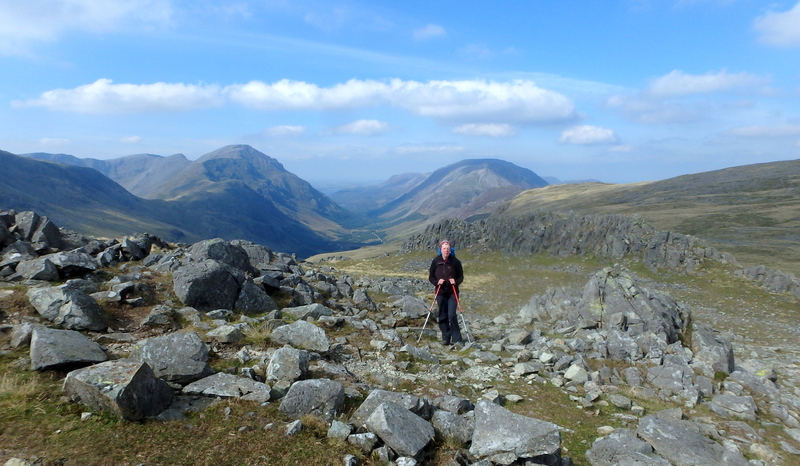 There are great views across to Ennerdale with Pillar quite unmistakable, before Great Gable suddenly looms into view – it must have been impressive because Chris said, “Are we going there?” in that sort-of disbelieving way. 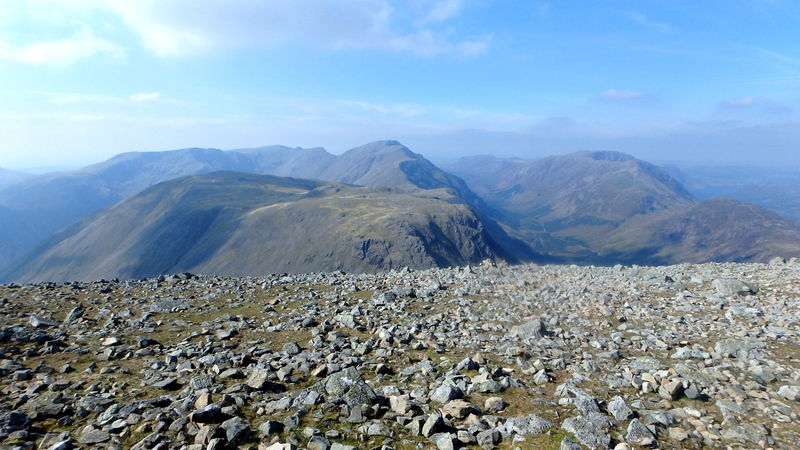 Looking back to Green Gable …. 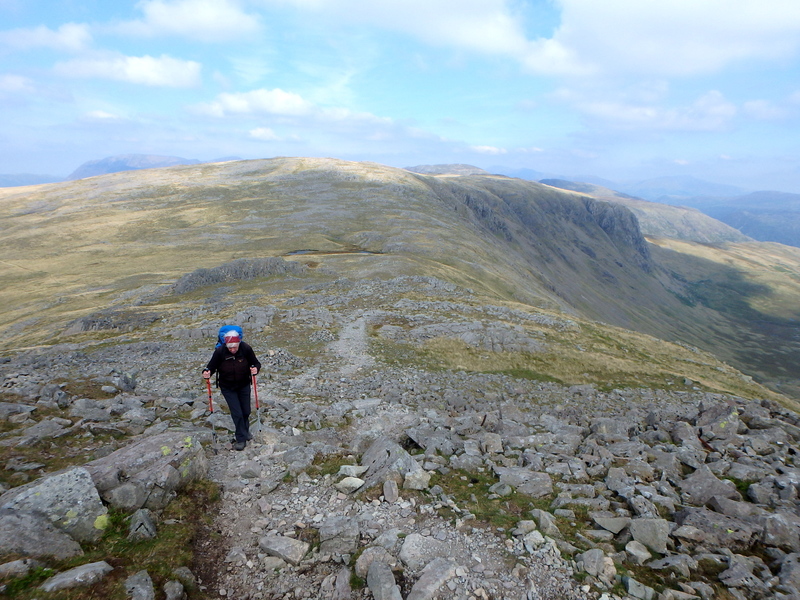 It’s almost 2 kms from Grey Knotts to Green Gable with a height gain of 170 metres due to a bit of up and down. Looking across to Great Gable, the summit is only about 100 metres higher than Green Gable, but a cheeky little descent to the col of Windy Gap added another 50 metres of up – so, it was steady away until the top of Great Gable came into view. 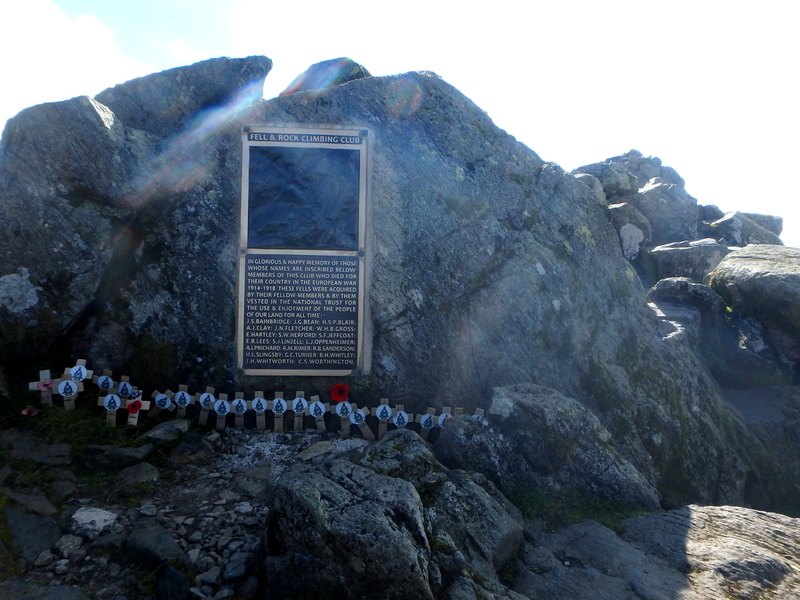 Great Gable was one of the main focal points for the first rock climbers in the late 19th Century, with Napes Crag and Kern Knotts being amongst the most popular climbing grounds, so it was no surprise that Great Gable was chosen by members of the Lake District’s Fell and Rock Club to be a permanent war memorial to club members who died in WW1. 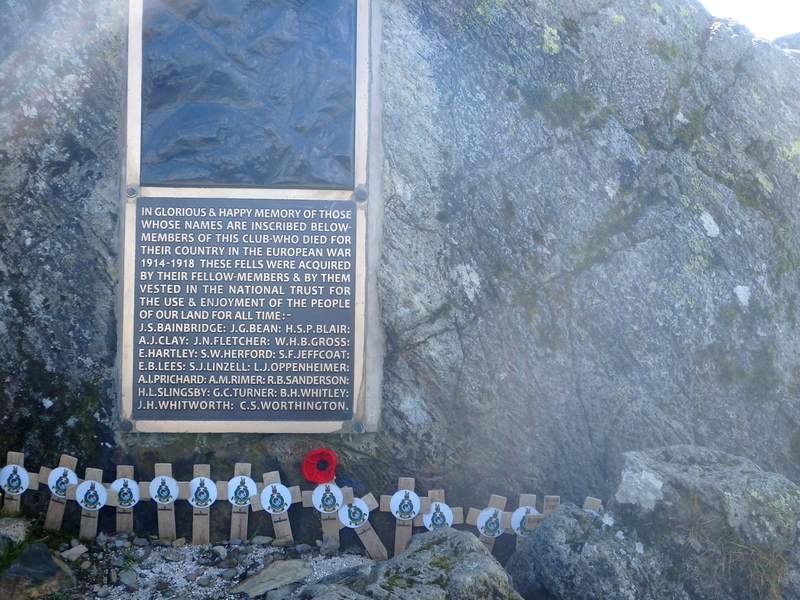 The memorial is now the setting for an annual memorial service on Remembrance Sunday, and a large group congregates at the summit despite the often atrocious November weather. The memorial is also a place of pilgrimage throughout the year, and a large group of crosses with the Globe and Laurel crest of the Royal Marines looked as though they had been placed very recently. 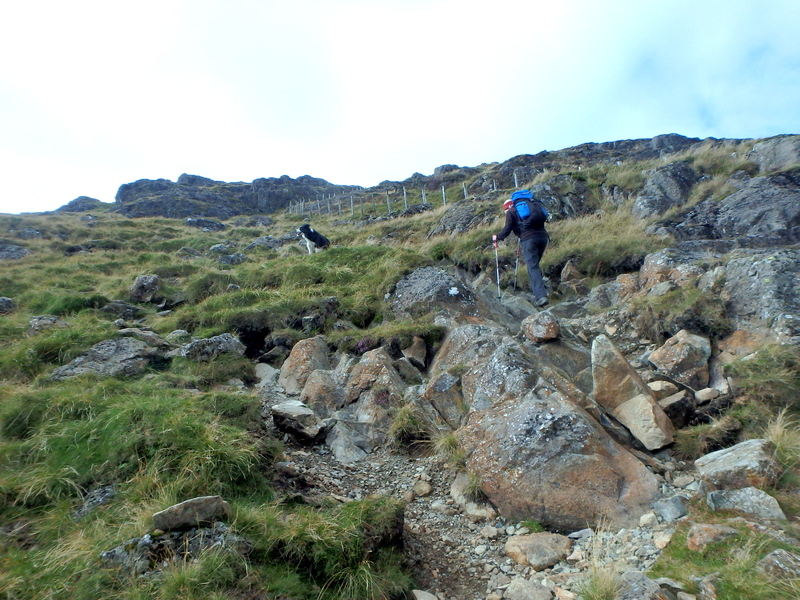 The start of the descent …. 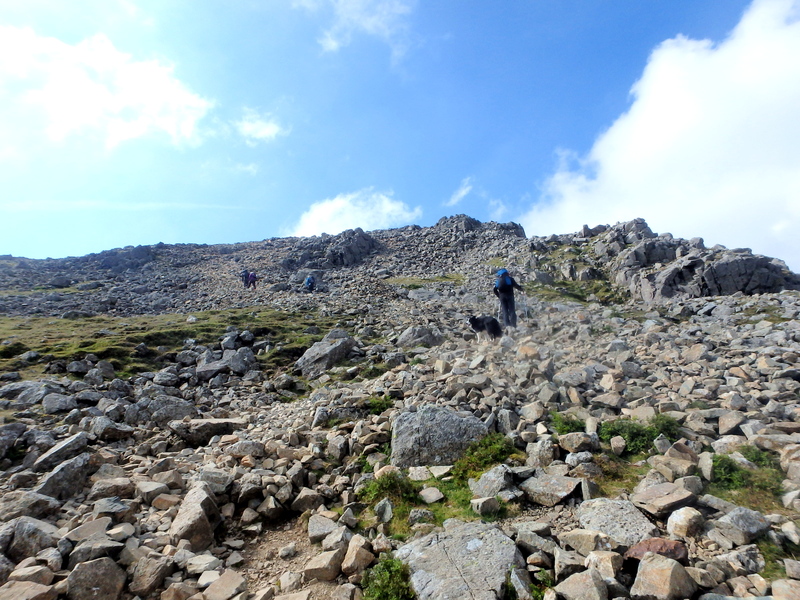 Off the scree at last …. What goes up has to come down, and I had chosen the descent to the northwest heading down to the col at Beck Head. 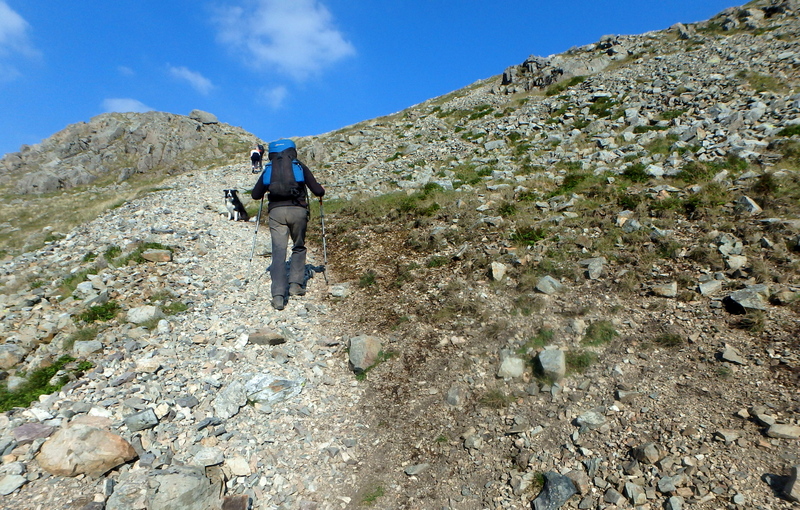 I tried to avoid a steep craggy section that Chris would not have enjoyed, and landed instead on the scree slopes about 100 metres south of where we should have been. 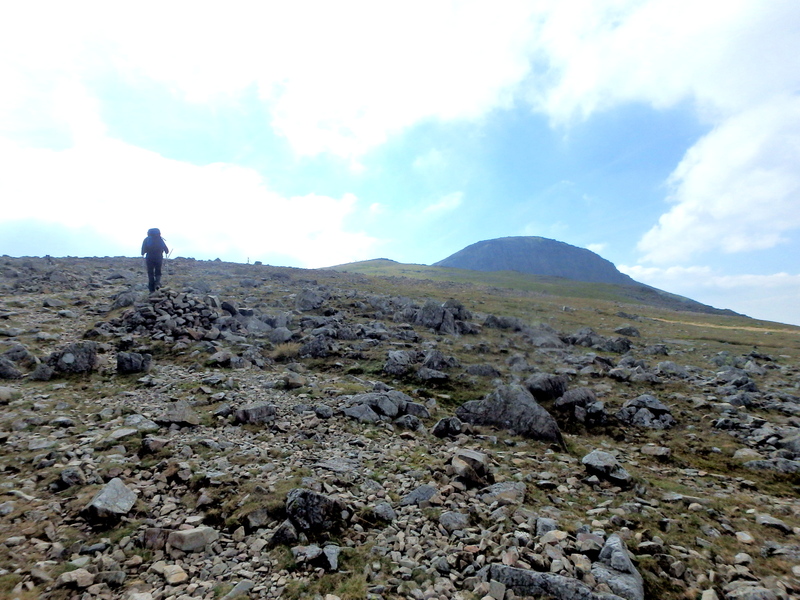 If Chris doesn’t like ‘steep craggy’ ground, she is even less keen on ‘steep scree’ but perseverance and patience eventually got us to Beck Head. The route back took us under the towering Gable Crags. There is rock-climbing up there, but nothing in the easier grades – in my younger days I did ‘Engineer’s Slabs’ (VS/4c) which is regarded as a Lake District classic, but the crag is becoming more popular as a hard ice-climbing venue due to it being perpetually wet and north facing. 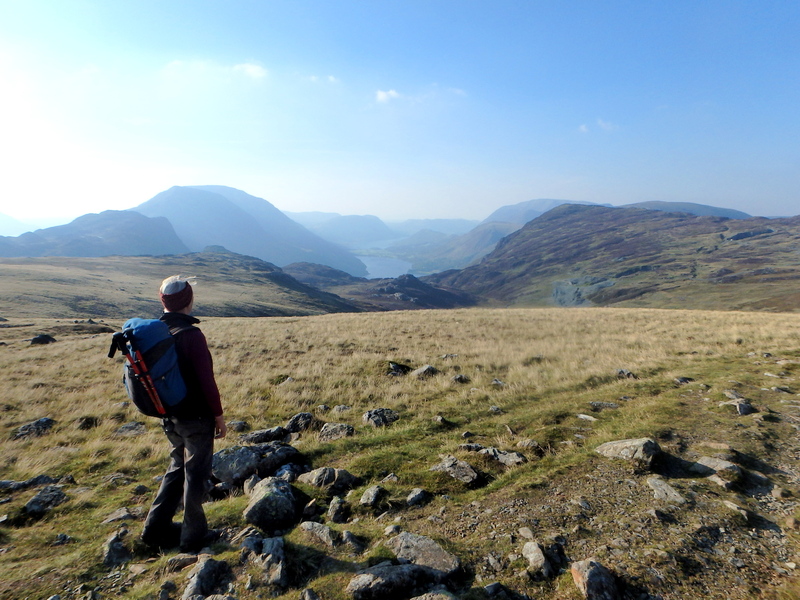 We followed the path named ‘Moses Trod’ back to Honister – ‘Moses’ was said to have been a quarryman at Honister Quarry who used to have a lucrative side-line in making illegal whisky which he carried over to Wasdale using the track that would in time be named after him. I don’t know if his spirit still wanders the moor, but I bet the spirit he used to transport is still lingering there. This entry was posted in 2. Lake District and tagged Border Collie, Cumbria, hillwalking, Lake District, mountains, photography. Bookmark the permalink. 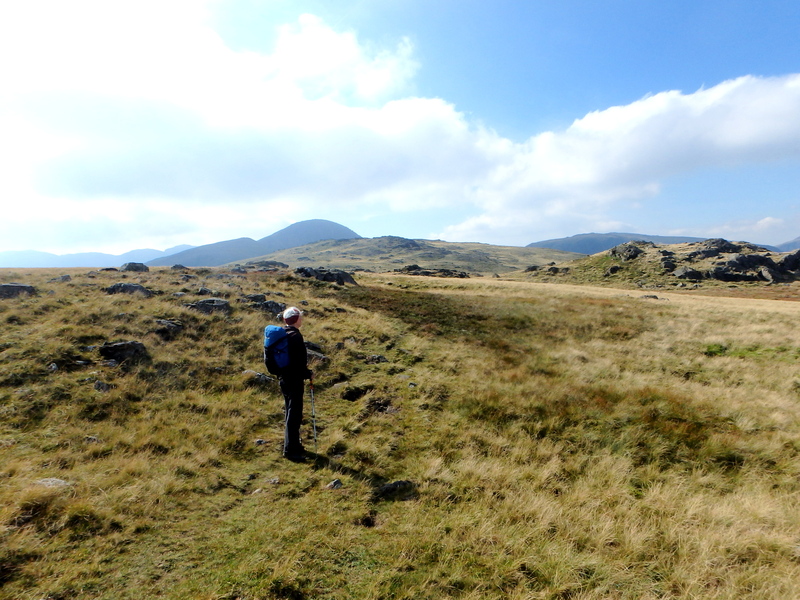 Next week we’ll be passing there as well when we hike the Bob Graham Round, hopefully the weather will be kind to us. Really looking forward to experience the beauty as illustrated by your pictures. 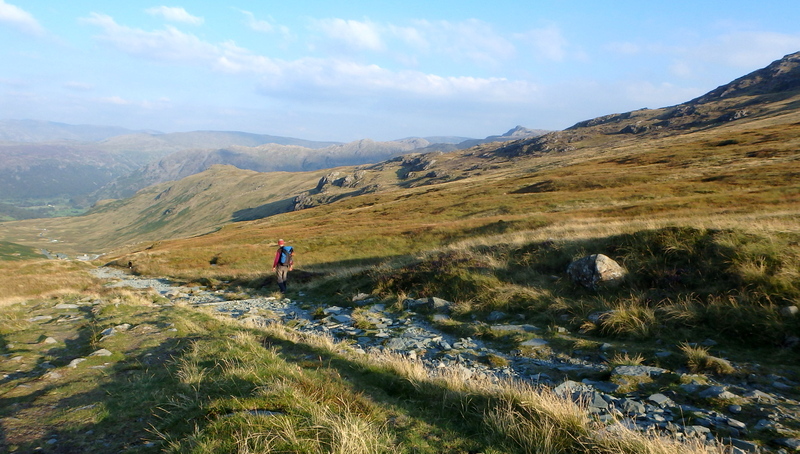 Have a good trip David – the Bob Graham round covers most of the beautiful mountain terrain of the English Lake District and I’m sure you will love it. I’ve known about the memorial service for many years, but never had the chance to get there – I believe it’s always well attended whatever the weather. 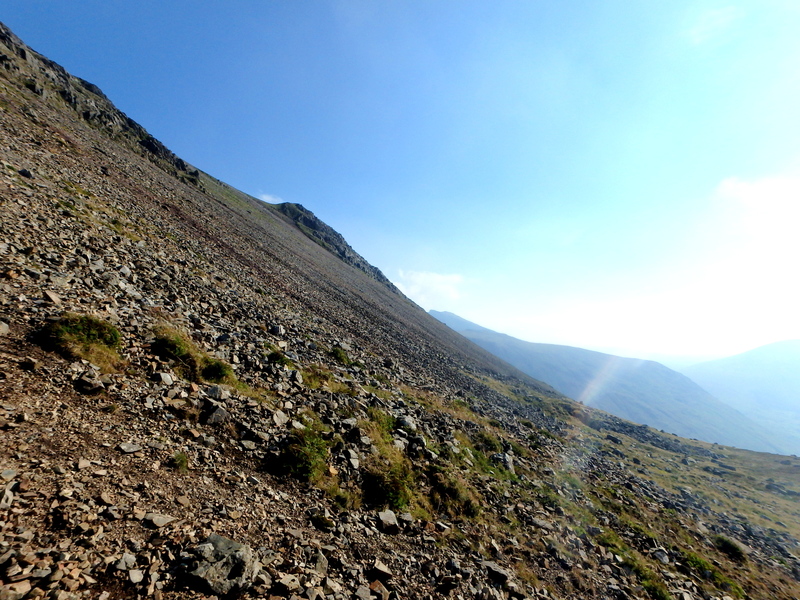 I’m with Chris – I hate steep scree too. 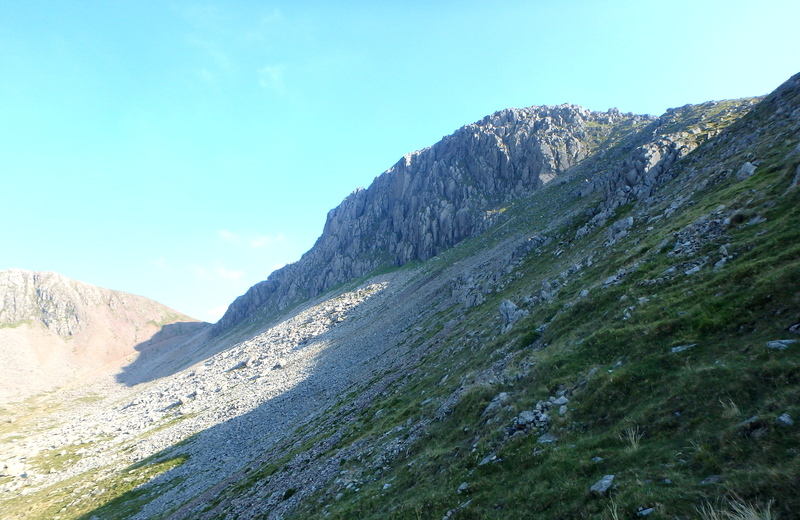 Actually, we usually go up from Beck Head to Gable – not sure I’d fancy descending that bit – but we don’t usually do much on scree – more boulders – we keep quite close to the sort of ridgeline going down rather than the face if you see what I mean. I’ve never done that ascent to Grey Knotts up that fenceline as it always looks horrific – we usually set off on the Drumhouse track, then turn along the track which goes under Grey Knotts and then just stomp up the side on grass – quite short and painless that way. I can imagine it’s really hard to find from above which is probably why I’ve never tried to go down it. 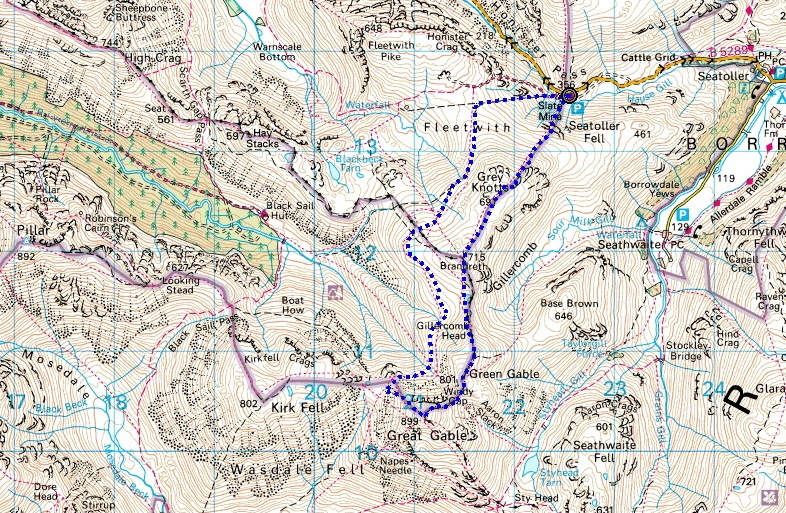 I’m heading up to Ennerdale early on Sunday with my son (staying at Black Sail hostel that night). 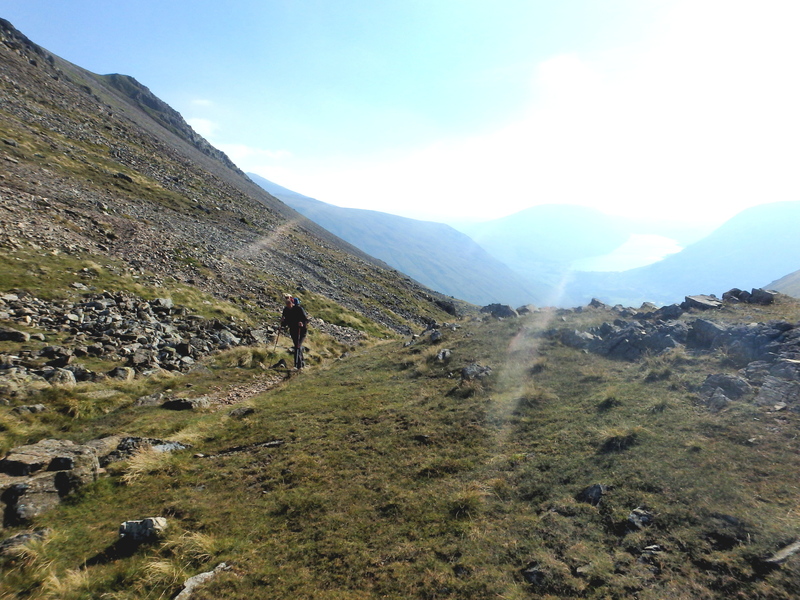 We will only have about 7 hours on Sunday (but that includes walking up Ennerdale from where the car will be left). So I’m looking at different routes that can see us back at the hostel before dark. I’ve got either Pillar or Great Gable in my sights (so your post jumped out at me). Just checking distances and likely round trip times now..